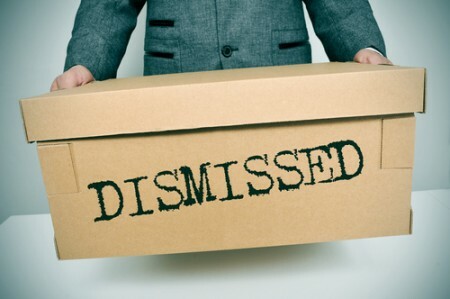 In the recent decision of Johar v Best Buy Canada Ltd., 2016 ONSC 5287 Monkhouse Law was successful at demonstrating Best Buy did not have cause to terminate an employee, but instead owed their employee a longer notice period as a result of the cause allegations they put forth. In early December of 2014, Best Buy became suspicious that an employee was re-selling electronics he was able to purchase on an employee-only auction website and was running a business in competition with Best Buy. In an attempt to prove the employee was re-selling electronics, Best Buy pointed to the hundreds of electronics the employee had purchased in order to prove that he must have been re-selling the electronics, contrary to Best Buy policies. In other words, just because something seemed likely, Best Buy put forward that that was enough to prove the conclusion. The Court did not agree. The Court stated that Best Buy had not proved this cause allegation on a balance of probabilities, and thus this could not amount to cause. During their investigation, Best Buy found advertisements than ran in a local newspaper several times in 2014 which suggested the employee was offering in-home repair services for electronics, in competition with Best Buy. However, the employee had actually run those advertisements in 2007, and the local news paper was reproducing those ads to encourage the use of their classifieds section. Although at the hearing, Best Buy admitted that this was a mistaken belief, they attempted to argue that the employee should have provided more fulsome answers when asked about the re-selling and the advertisements, and since he did not provide sufficient information he was appropriately terminated for cause due to dishonesty. The Court also disagreed with this. The Court pointed to the unexpected and stressful circumstances of having to meet with an employer during an investigation as accounting for an employee’s reluctance provide personal details. Overall, the theme of the judgment was Best Buy’s failure to challenge the employee’s evidence, which came about due to strategic moves by counsel for the employee. The employee said he was buying the abundance of electronics for his extended family in India. This evidence was uncontroverted by Best Buy. In addition, the employee said that the advertisements ran in 2007, which was also uncontroverted by Best Buy. Overall, as a result Best Buy could not succeed in establishing cause and thus the employee was wrongfully dismissed by Best Buy. This goes to show that the ‘little guy’ can beat one of the biggest companies in Canada. Monkhouse law, then argued that as a result of these cause allegations the employee should be awarded a longer notice period, to recognize the hardship the cause allegations caused him. The Court agreed and awarded 11 months notice of his termination, which the Court stated was at the “outer end” of the reasonable notice range but it was appropriate in the circumstances given the cause allegations put forward by Best Buy. If you need assistance with a large employer pushing you around, make sure to call Monkhouse Law today for a free consultation.